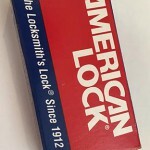 So, I’m a new member on KeyPicking.com, and what a great forum that is! 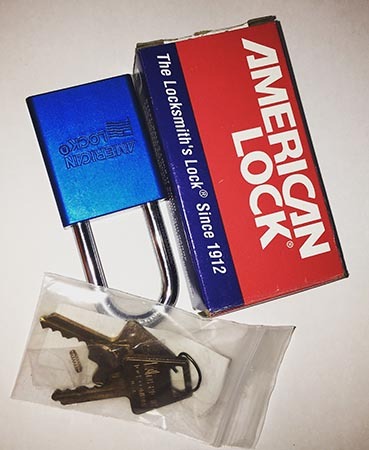 I ended up listing my TrioVing locks for trade, and today I received the first package. 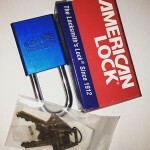 This is an American A1106BLU, and is my first IC (interchangeable core) padlock. I’m not sure if it’s currently 4 or 5 pin, but I had it picked in under a minute after opening the box. My tradesman included another pin (all parts) so I can make it more challenging when I feel up to it. 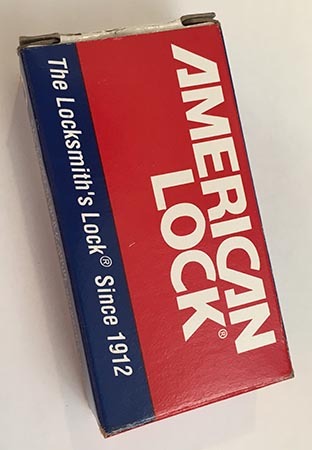 I’m currently struggling with one of my el-cheap-o locks, it just does not want to pick… I’ve opened it numerous times before, just now it’s decided to go bad on me. And just now, as I’m writing this, it finally decided to give. Gave up to a rake of all things. On another note.. I need a bigger desk! I have a two screen setup, one 23″ and one 27″ monitor. I spend most of my time at this desk, but it’s getting more and more cramped. I guess I should keep my eyes on Finn.no, looking for a replacement. Keep ya’ll posted.